El decidir sobre un lugar para aprender a kite o viajar por vacaciones kite puede ser difícil – especialmente para aquellos de nosotros que sufren de FOMO (que, a los que desconocen su condición, es un temor de perder). Por supuesto, usted desea viajar a la República Dominicana para kite tiene hermosas personas, la cultura y la scenery- una mezcla perfecta de las escenas del partido y los días frialdad de playa. El problema entonces se convierte – en donde en la República Dominicana no se elige el camino para el kitesurf? Cabarete es claramente una gran elección. 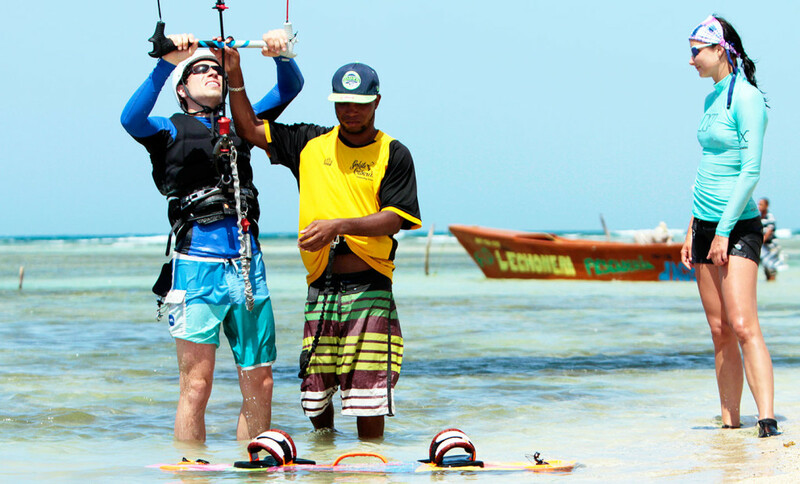 Cuenta con excelentes escuelas de kite como Gokite Cabarete derecho en Kite Beach, que tiene kite increíble la mayor parte del año y los instructores con conocimientos para ayudarle cuando lo necesite. Sin embargo- tal vez usted es un explorador que no es necesariamente feliz de poner uno solo de playa para sus vacaciones enteras. If you want to see more of this beautiful country while sticking with your passion of kiting, a day-long kite trip is certainly a good answer! These adventures are an excellent way to get a diversity of both kiting and local cultural experiences, all with the safety of a local guide and kiting supervisors. 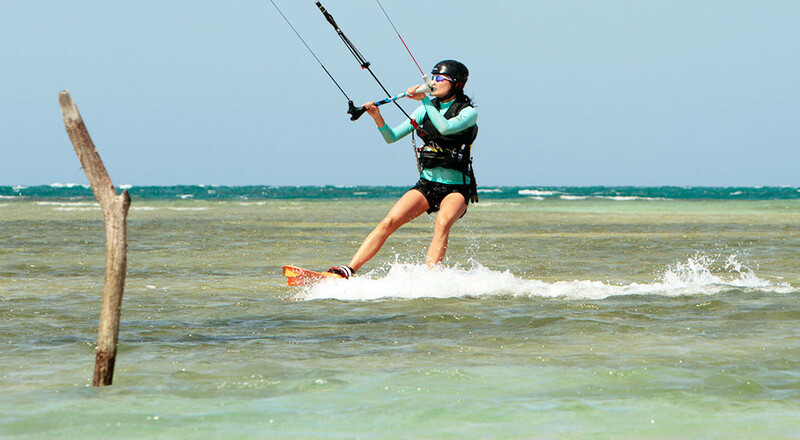 GoKite Cabarete offers trips up and down the North Coast, which allow you to do downwinders and experience more of the DR’s hidden kite spots. You’ll also be able to get out on an adventure and still be able to come back to the comfort of your hotel accommodations. One of our current featured trips is to Buen Hombre. 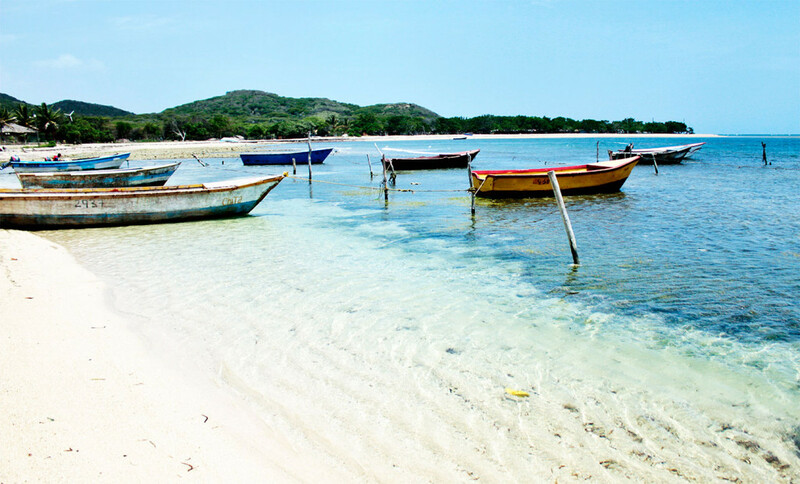 This is a small, beautiful, fishing village about 35 km before Monte Cristi. This village of “Good Man,” named for its kind and generous people, has long been a “secret kite spot.” Hidden behind the hills, it surprises you with breathtaking landscapes and the especially flat water as you descend to the beach from the arid desert hills. This village offers a gorgeous beach to chill out, eat delicious seafood, and of course a perfect flatwater bay for kiting. This is an excellent spot for learners new to kiting, as the calm water takes away the chaotic wave element of learning so that you can develop your kite control and riding ability at a faster rate. 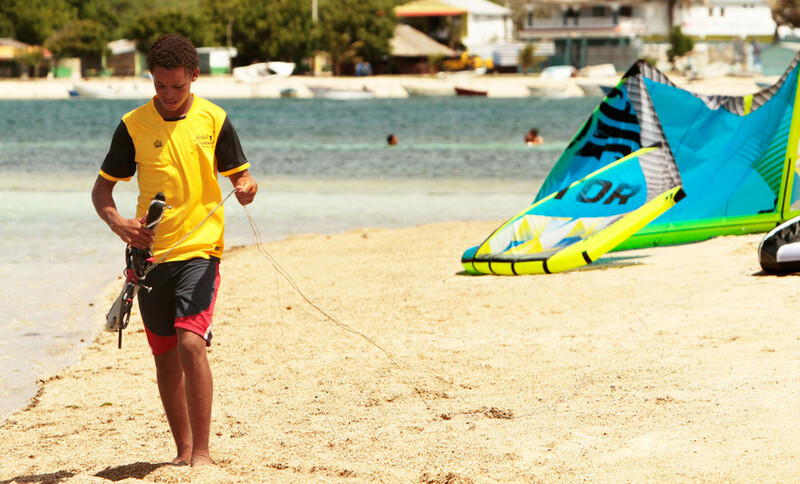 More advanced kiters also love it because they can practice tricks that might otherwise be limited by choppy water conditions. Most days the wind is favorably side onshore, with the thermals kicking in around 12:30, reaching it’s strongest around 4 p.m..Buen Hombre is also windy about 300 days a year- so if there’s no wind in Cabarete, make plans with us to head north for this kiting adventure spot. We leave early in the morning, after coffee and breakfast of course, and set out in a new, comfortable, air conditioned truck with room for 5 kiters, plus all their gear. If you need to rent gear, we’ve got you covered too- and we always bring extra and a repair kit in case of mishaps! Along the way, your experienced and knowledgeable driver points out unique local spots and stops when asked if there is anything you may need. Once you arrive a couple hours later, you have the truck as home base, and are free to explore or set up right away and go riding. Your guide will arrange a delicious local seafood lunch for you to enjoy, and there are few small local bars to grab an icy cerveza when you need a break. On the off chance that there is no wind (rare, but it can happen) your guide sets up a beach soccer or ultimate frisbee match, beach walks, impromptu latin dance lessons or trips to Paradise Island for some epic snorkeling so that no matter what you walk away with a memorable experience. After a full days fun, you are safely transported back to your hotel in Cabarete, with a ton of professional photos to remember the day by. Whether you are looking for a family excursion, an experience to share with a group of friends, or a solo traveler looking to make new friends, here at GoKite we make day long kite trips an adventure not to be missed! Contact us to book during your stay in Cabarete.